Towson University officials and members of the Greek life community are reacting after the harrowing details of a Penn State hazing death were released Friday. 19-year-old Penn State sophomore Timothy Piazza died on Feb. 4 after falling repeatedly during a Beta Theta Pi fraternity pledge night of excessive drinking on Feb. 2. Eighteen members of Beta Theta Pi face criminal charges in Piazza’s death. 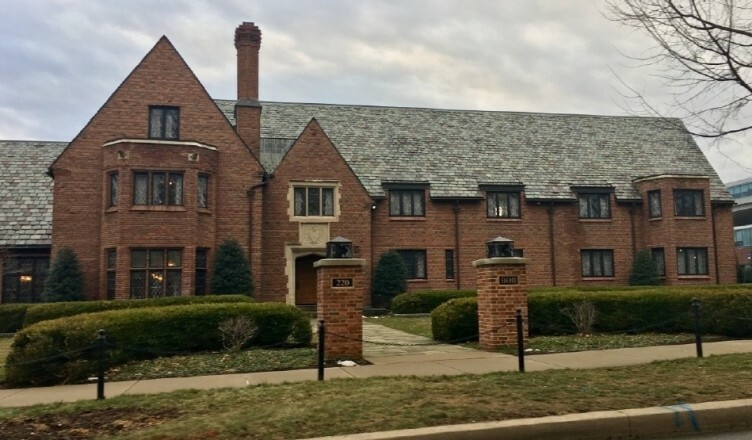 Eight members of the fraternity face charges of involuntary manslaughter and aggravated assault, while 10 face lesser charges, according to grand jury documents released by the Centre County District Attorney’s Office on Friday. The charges include counts of hazing, furnishing alcohol to minors, recklessly endangering another person and tampering with evidence. Grand jury documents report that the initiation ritual included a “gauntlet” of various drinking acts — including passing around a vodka bottle, shotgunning a beer, drinking from a wine bag and playing beer pong. Video surveillance showed an evidently intoxicated Piazza “staggering drunkenly toward the basement steps” at around 10:45 p.m, according to the documents. Four fraternity brothers carried Piazza to a couch upstairs, where various fraternity brothers “backpacked” him to keep him from rolling onto his back, poured liquid on him and slapped him in the face multiple times, according to the court documents. The documents report that the fraternity brothers waited until 10:48 a.m. on Feb. 3 to call an ambulance for Piazza. Piazza was pronounced dead at 1:20 a.m. on Feb. 4 at Hershey Medical Center. Beta Theta Pi has been banned from Penn State’s campus, and all other Penn State Greek life chapters are restricted from recruiting new members until 2018. Towson Interim Director of Fraternity and Sorority Life Carly Heasley felt “sick to her stomach” when she learned about the details surrounding Piazza’s death. Maryland law states that hazing is a misdemeanor punishable by a $500 fine and six months in jail. Hazing is strictly prohibited at Towson University, according to the University’s hazing policy. The policy holds all individuals participating in hazing accountable, including the those initiating the hazing, those being hazed and any bystanders who witness the hazing. Most recently, the University suspended the Towson chapter of Tau Kappa Epsilon due to an off-campus hazing violation. Baltimore County Police announced in July that they had charged two members of TKE with hazing and reckless endangerment in relation to an incident that occurred at 333 Hillen Road in late March 2016. Alexander James Cantor is scheduled to appear in court on May 23, 2017. Evan Palmer Francis was sentenced to probation before judgement in October. Nanan was made to perform “strenuous workouts” and consume substances such as cat food and pickle juice, according to court records. After the event, he began to vomit blood, and was taken to the hospital by his mother, where a gastroenterologist determined that he suffered “moderate to severe burns” along his esophagus, stomach and portions of his intestines, according to court records. The Towson chapter of TKE has been suspended until the end of summer 2021. To Moriarty, incidents like this serve as both a warning and a wake-up call to University administration and Greek life. Moriarty and Heasley agree that the University has a strong hazing education education program, but that it’s “not fool-proof,” Moriarty said.